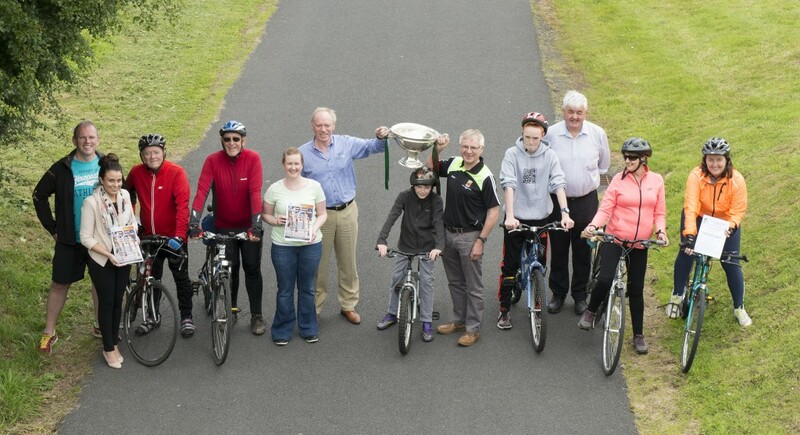 The Nicky Rackard Cup was brought out in support of The 6th Annual Great Western Greenway cycle in aid of Mayo Cancer Support Association, Rock Rose House, Castlebar which takes place on Sunday 31st July. The launch took place on Tuesday last in Westport. This year’s cycle is approximately 50 km return and runs from Westport to Tiernaur. Registration takes place at Westport Leisure Centre from 9am. Race starts at 10am from the Leisure Centre car park on James Street. The registration fee is €20 which includes refreshments at Nevin’s Tiernaur.